Laid down, 6 October 1944, at Missouri Valley Bridge & Iron Co., Evansville, IN. 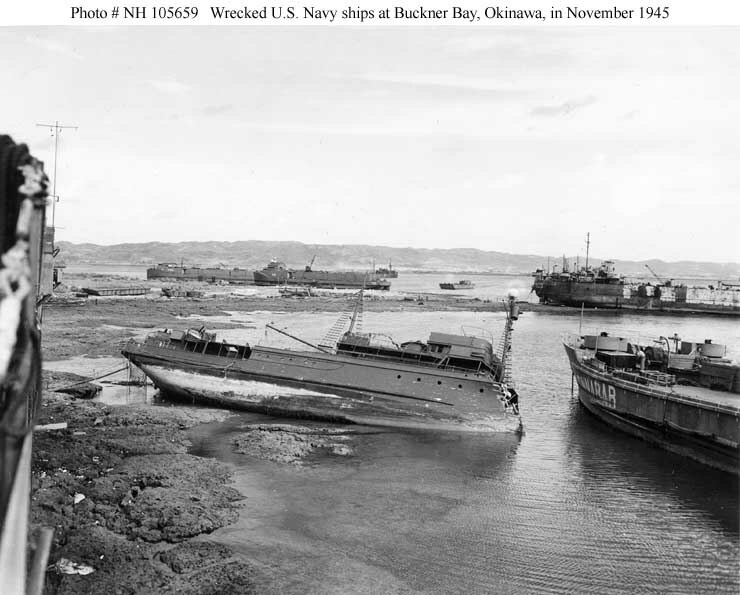 15 Okinawa typhoon wrecks that were finally sold for scrap in two batches in May and November 1947 by the State Department's Foreign Liquidations Commission. 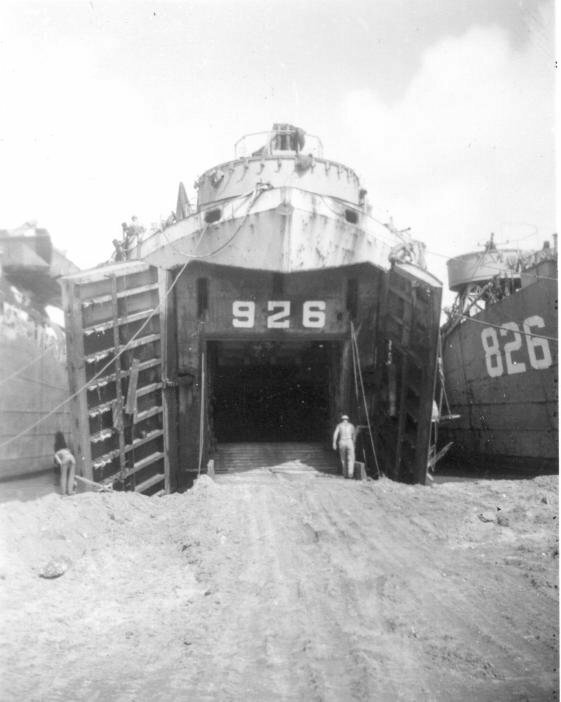 USS LST-826 and a sister, USS LST-823, along with USS Nestor (ARB-6), three floating docks and some smaller craft, were included in the May batch and were purchased by the Oklahoma-Philippines Co. in what was referred to as the "Berry sale." The date of her scrapping is not known. 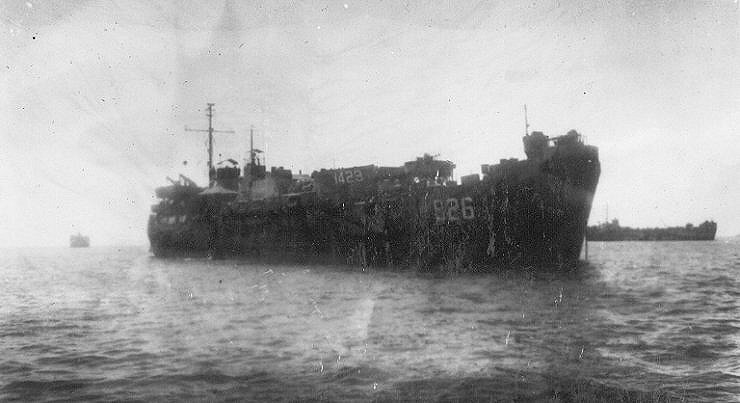 80k USS LST-826 off Okinawa in 1945. 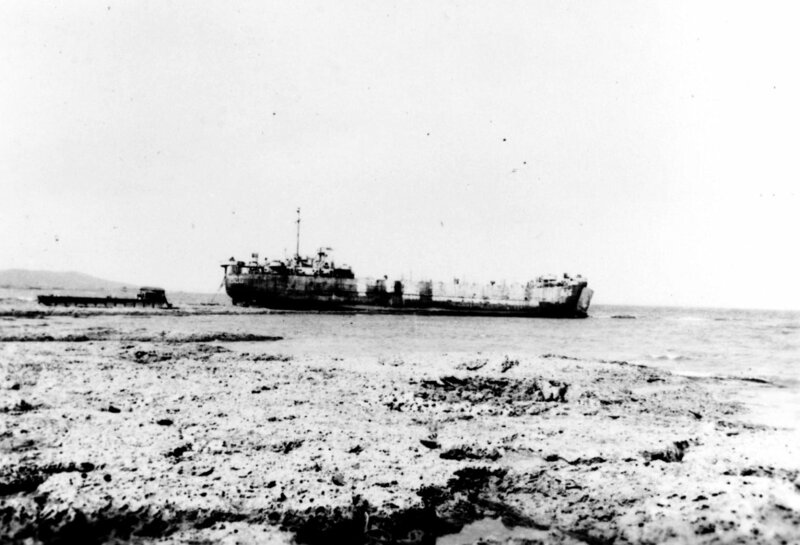 61k USS LST-826 at anchor off Okinawa. 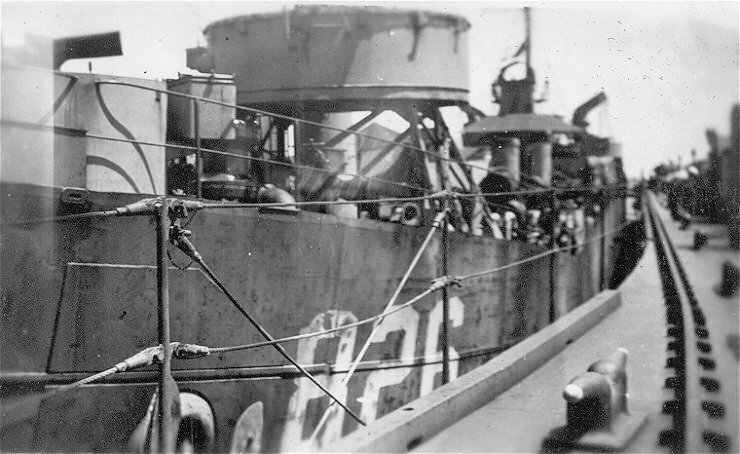 Smoke pots on the stern of LCVPs were used to draw a protective screen around U.S. ships at anchor. 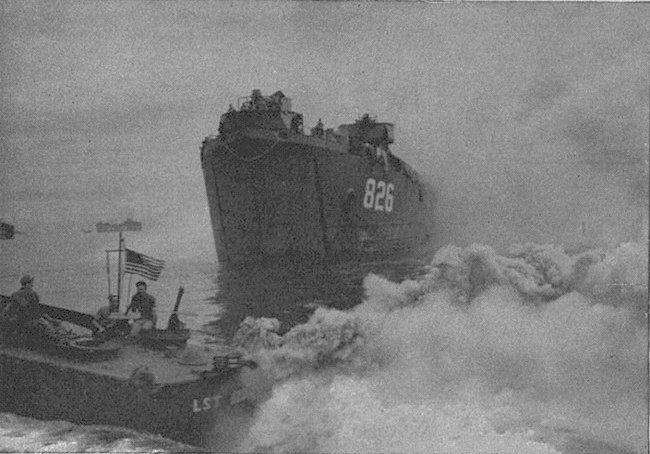 US Navy photo from "All Hands" Magazine, August 1945 issue. Joe Radigan MACM USN Ret. 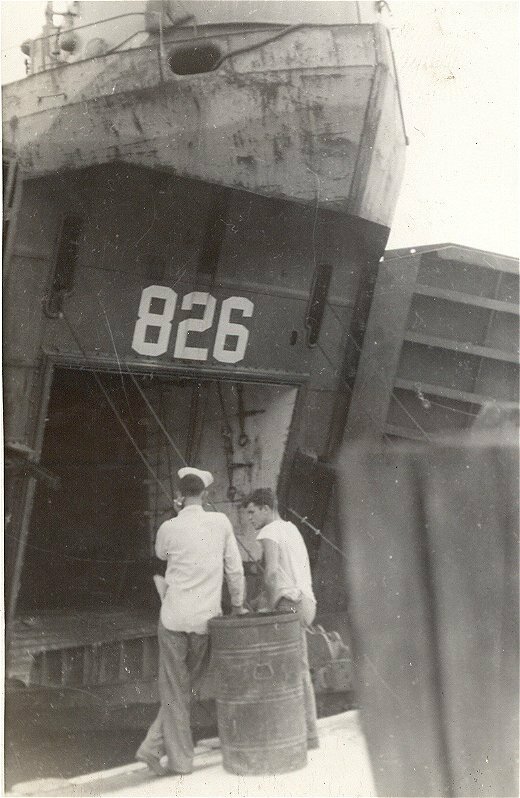 75k USS LST-826 at Okinawa 7 November 1945 after being grounded by Typhoon "Louise" on 9 October 1945. 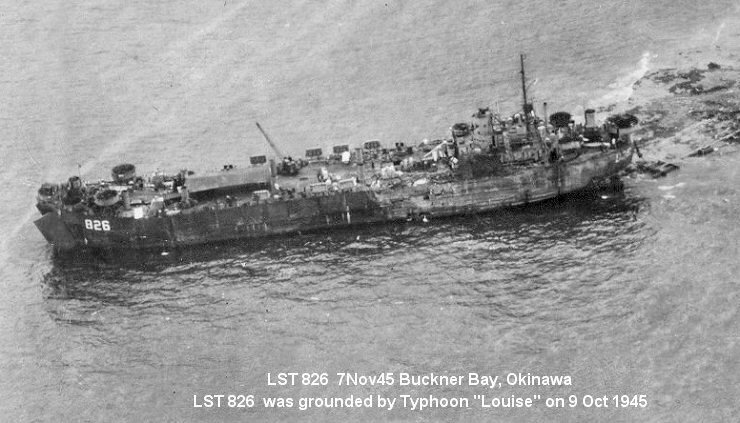 Photographed about a month after Typhoon Louise ravaged that port in October 1945. The vessel in the center of the photograph is USS YP-520, originally the tuna clipper Conte Grande. 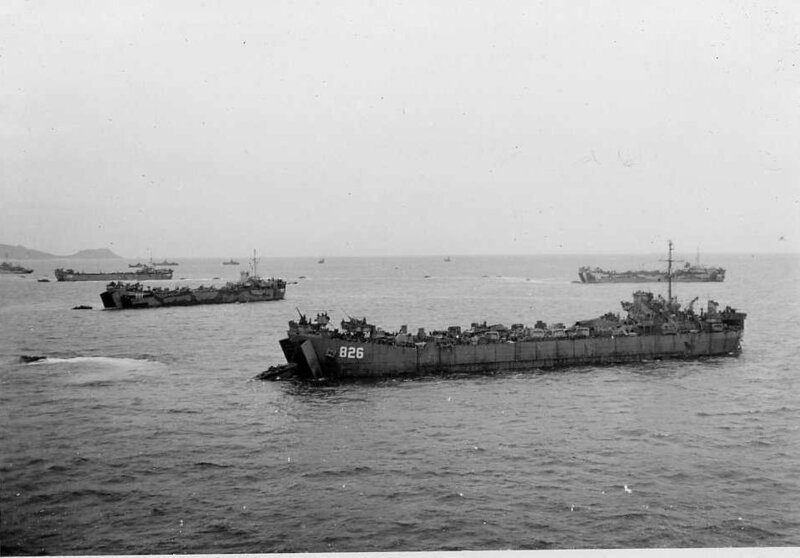 To the right is USS Cinnabar (IX-163), a concrete-hulled stores issue barge. 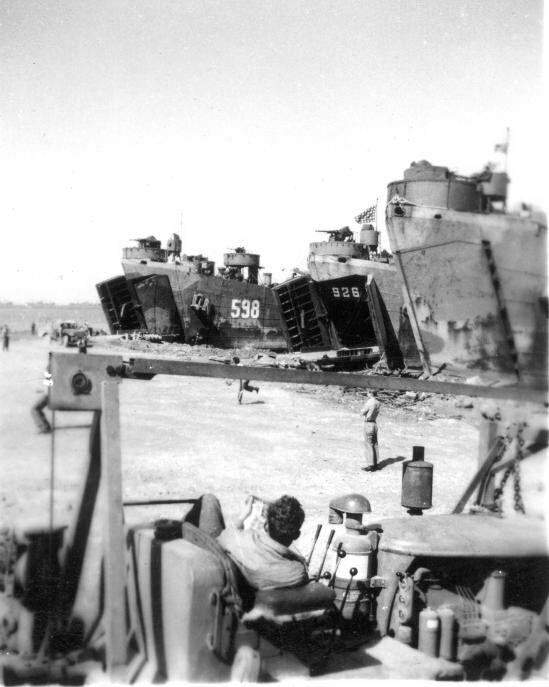 Above Cinnabar is the after portion of USS LST-826, and in the distance beyond USS YP-520 are YF-606 (on the left) and YF-626. 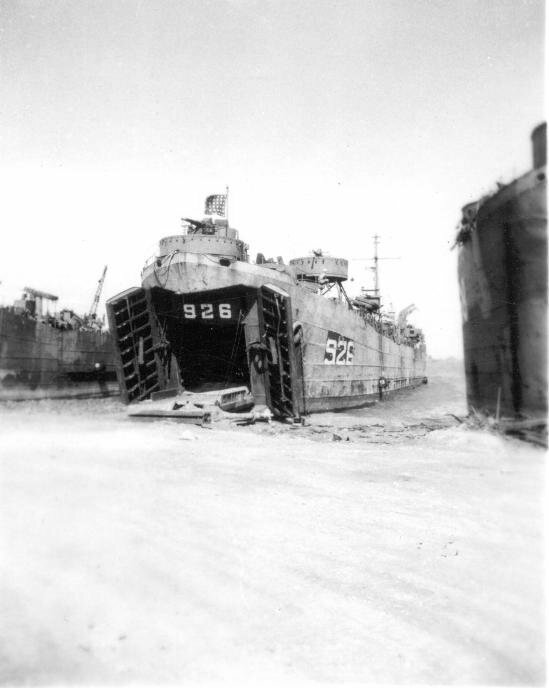 151k USS LST-826 beached, stern-first, in Buckner Bay, Okinawa, after Typhoon Louise ravaged that port in October 1945. 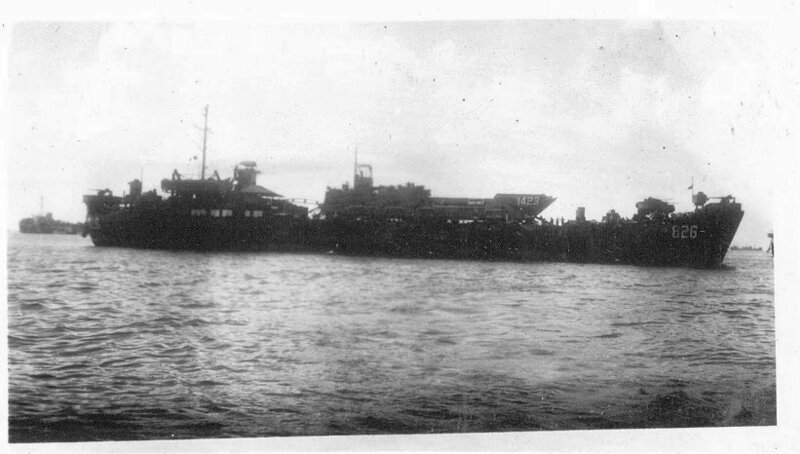 Photographed circa late October 1945. Considered beyond economical salvage, this ship was stricken from the Naval Register in January 1946 and sold in May 1947.